February 2019 saw the 20-year anniversary of the publication of the McPherson report which popularized the phrase ‘institutional racism’ to describe unwitting racial prejudice in the public life. It moved our understanding of discrimination beyond the active, knowing racism of individuals to include discrimination resulting from the way we organise and make decisions in public life. So how can we use participatory budgeting to support good community relations, meeting the public sector equality duties as we go? Leith Chooses holds one of Scotland’s longest running most celebrated participatory budgeting (PB) processes. Brought together by a partnership of community councils and City of Edinburgh council they have deep roots in the community, and a broad reach. On 23rd February, 1,267 people who live, work or volunteer in Leith came to take part in their voting event. 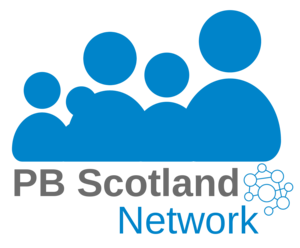 Participatory budgeting process like Leith Chooses create opportunities for communities to get involved in public decisions that were previously taken behind the closed doors of our institutions. We know, though, that there are barriers to involvement and that there’s a real risk of minority groups being left behind. This year, Leith Chooses focused their pot of £44,000 on the broad theme of addressing inequalities. Community projects were invited to bid for up to £5,000 to do good work in Leith around the themes of Food or Supporting Vulnerable People. Because of the steering group’s concerns that there was evidence that in previous years Black and Minority Ethnic (BME) groups had been left behind in Leith Chooses, they asked all projects bidding for funds to take extra steps to actively include members of that community when designing projects. As a positive action measure, qualifying projects who proactively benefit or engage with BME communities were eligible for an additional ‘boost vote’. Overall, 8 of the 29 projects met the criteria and so were eligible for a boost vote. Essentially, this meant that a voter could cast two votes per theme, but qualifying projects were eligible for a third vote and it’s up to individual voters to decide if they want to use that boost vote. Leith Chooses explain the innovation in a film. Sally Millar, a member of the Leith Chooses team explained: “We really wanted Leithers to engage with each other, find out about some great projects and vote for projects in which they wish to see community funds invested. A pattern has emerged over the nine years, that small groups, new groups and that groups focusing on ethnic minorities tend to get left out”. Phillipa Kemp is part of the Multi-Cultural Family Base summer outings project – working with BME families including migrants and refugees, helping them to overcome barriers to access services. They asked for funding to run summer outings for children from BME families and as well as children with additional support needs. Phillipa said, “We really welcome the booster vote, because we support a minority community we are not always going to get a mass majority vote compared to the likes of schools. We do need to make sure that minority communities are fairly represented”. Satnam, Lesley and Karen were representing a joint bid between Sikh Sanjog and SHE (Social, Health & Education) to help girls & young women from the Sikh and BME communities to feel more empowered and body positive. They’re about “empowering women to empower women” by a collaboration between organisations with expertise in a minority ethnic community and expertise in issues affecting women and girls. Their partnership seem like exactly the kind of fusion of skills and experience that Leith Chooses encourages. The Leith Chooses voting event received incredibly positive feedback from the people who attended. With over 150 people having their say on an evaluation wall. “Why just Black and Minority Ethnic? It’s probably a good thing but I’m not sure if it’s nice to divide, it might be a bit unfair. Everyone should get an equal vote”. All projects rose to the challenge of greater proactive engagement with minority ethnic communities. The Multi-Cultural Family Base and Sikh Sanjog were both funded. Leith Chooses have chosen to engage in that active process toward equality, and should be applauded for it.